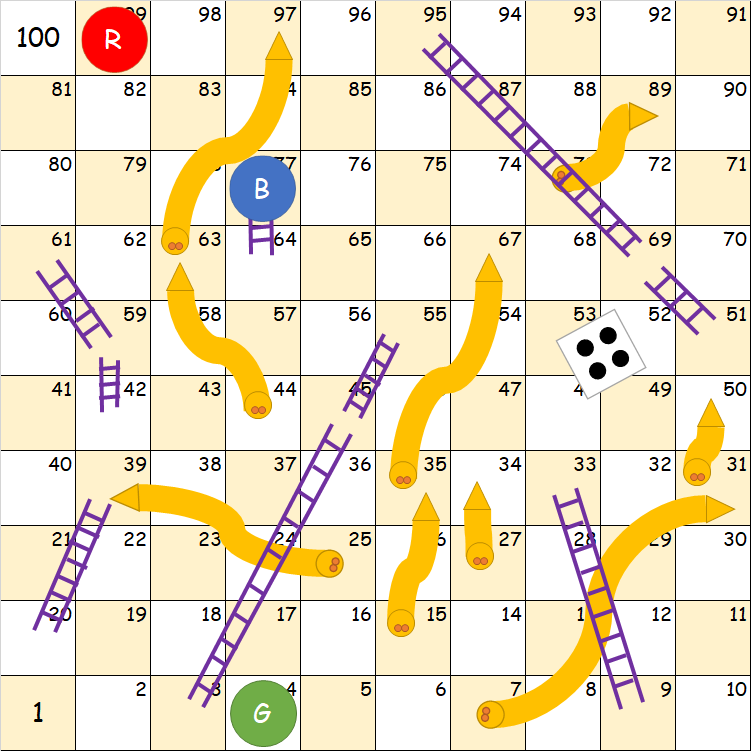 Three young children: Red, Green, and Blue; were playing a classic game of Snakes and Ladders, when suddenly their mom called them to have a dinner. When they came back to their room, they forgot whose turn it was even they were not sure either about the order of the play! This was the last condition of the board, including the die. Could you tell them whose turn it is and the order of the play? They put their markers at tile 1 at the beginning. They will win if their markers land on exactly at tile 100. They are using bouncing back version (roll 3 will move the marker from tile 99 to 98). As long as they roll 6, they will get an additional extra roll after moving the marker. If someone land on a square where there is already a player, it doesn't sent him back to square 1. Red square: after turn 1, you are in one of these. Green square: after turn 2, you are in one of these, or in some red square (except square 2). Red circle with R: if Red was the last player to move, Red's turn started at one of these. 1. Green has had either one or two turns. 2. Therefore, both Red and Blue have had at most three turns. 3. Therefore, because no green square overlaps with a letter R, Red was not the last to move. 3.1 There is no way to get to Red's current position within two turns, so Red has taken at least three turns. Combined with point 2, Red has taken exactly three turns. 3.2 Since Red has already taken three turns, but wasn't the last player to play, someone else must have also played three turns. It can only be Blue. 4. Because Red has played three turns, Green has taken 2 turns, rolling first 1, then 2. It's Green's turn, and after that it's time for the fourth round, with Red playing next. Because of Green's position he must have only taken 1 or 2 moves from the beginning of the game. Both Red and Blue's position is impossible to reach in 1 turn, as even with the roll again on 6 rule, they get trapped in an infinite loop with the slide from 31 to 7. There are 9 effectively different starting positions for turn 2, a unique one for if their last roll landed them on one of the escape ladders or their last die roll. 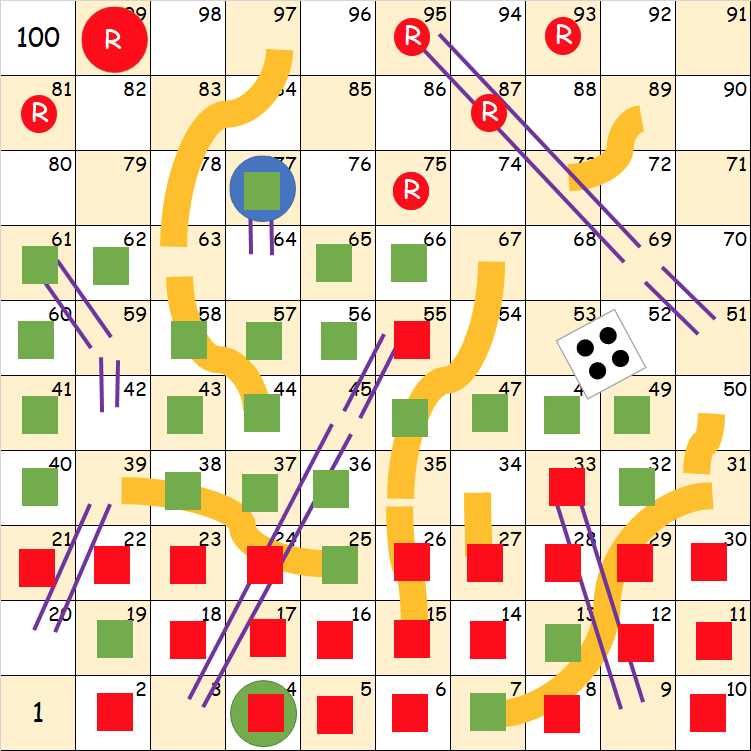 It is impossible to reach Red's current position or Blue's known starting position from any of these 9 starting positions, meaning that Red has already taken 3 turns, Blue has just taken his 3rd turn and Green must go next. R rolled 6-6-6-6-5 => ends in 30. B rolled 6-6-6-6-5 => ends in 30. G rolled 1 => ends in 2. R rolled 6-6-5 => ends in 66. B rolled 6-6-3 => ends in 77. G rolled 2 => ends in 4. R rolled 6-6-6-6-6-3 => ends in 99. B rolled 6-6-4 => ends in 77 again. Last roll was 4 and now it is G's turn. Not the answer you're looking for? 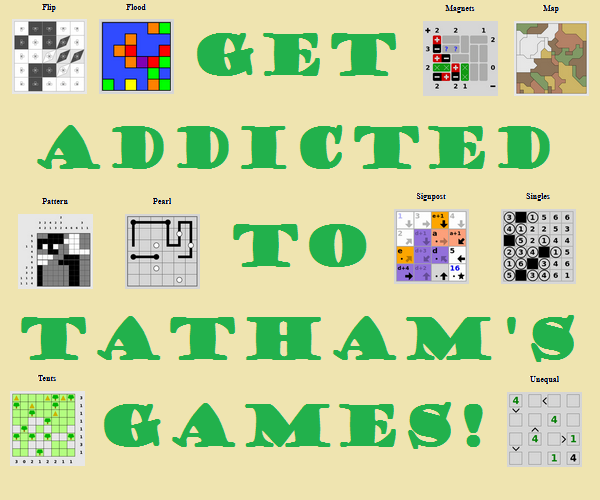 Browse other questions tagged board-games retrograde-analysis or ask your own question.